Mosaic’s ex-offender mentoring pilot in Yorkshire is a unique partnership with West Yorkshire Police, HMP Leeds and training prison, HMP Wealstun. The pilot is part of Mosaic’s national initiative, the Ex-offender Mentoring Programme, an initiative that specifically helps 18-35 year-old Muslim ex-offenders to move on from crime and lead law abiding lives. Mosaic mainly work in areas in which young people have low aspirations and expectations from life and very often, have no positive role-models to look up to, a factor that has been show to contribute to offending. Additionally, when Mosaic launched its Ex-Offender Programme in 2009, members of the Muslim Community made up a staggering 12% of the prison population, compared with just 2% representation from wider society. 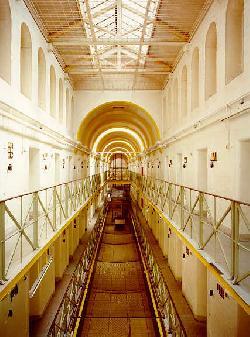 In December 2012, the number of young Muslim prisoners (18-20 years old) stood at a shocking 21%. During the Yorkshire pilot, mentors were trained in two groups: one group in March and one in June. The weekend of training took place at Bradford University, where mentors learnt how to apply resources to their mentoring, the importance of listening, boundaries and processes within the British Justice System. Following the training, mentors were security cleared before taking part in an orientation visit where they toured prison facilities, met key contacts, prison staff and the prisoners themselves. The Mosaic team was also allowed to see some cells, prison leisure areas and the educational facilities that are used to support vocational training. Mentor and mentee are first introduced during a facilitated meeting which serves as a ‘getting to know you’ session and sets the expectations and boundaries of the relationship. If both parties are happy to work with each other, mentoring begins with just the mentor and mentee present and sessions focused on issues relevant to the individual mentee.